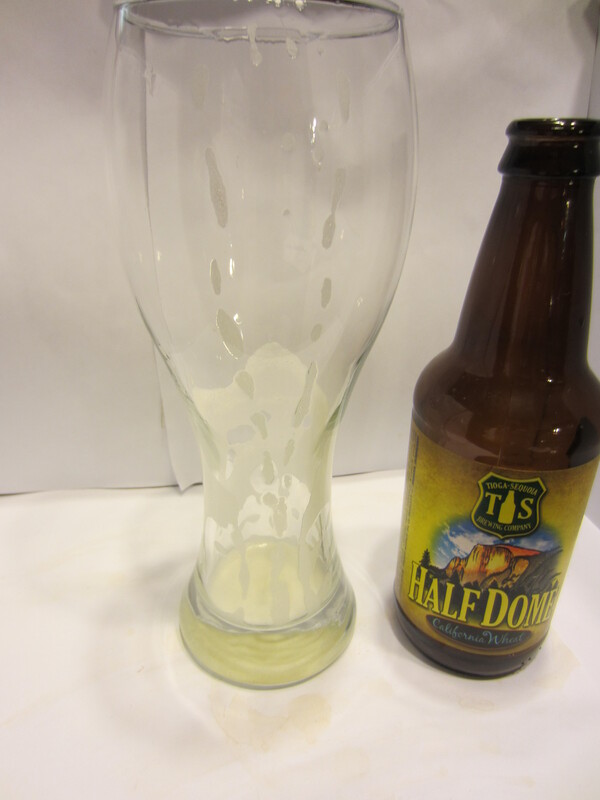 Poured from a 12 oz bottle into my wheat beer glass. Hazy and golden in color, with a nearly-white foamy head. 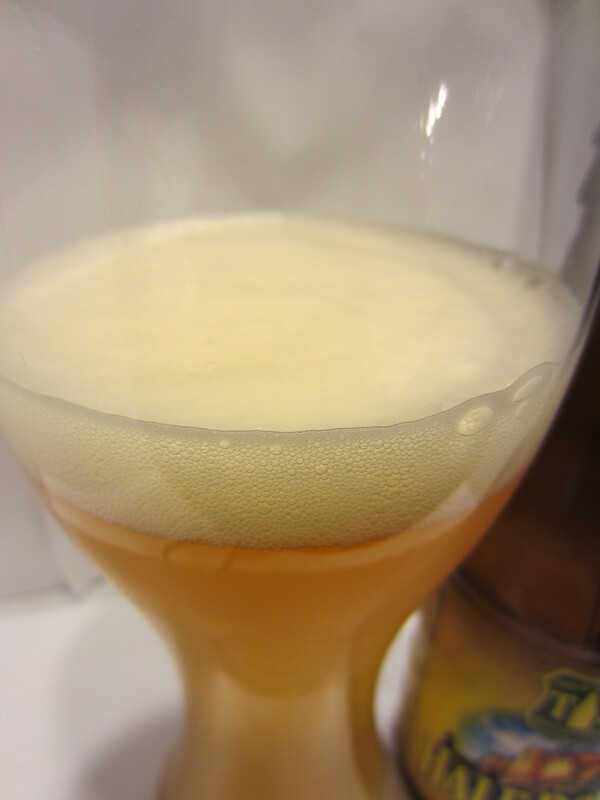 A decent amount of carbonation is visible, and medium lacing is left on the glass. The main scent is a light earthy, lemon/citrus aroma. There are small amounts of bread and spice undertones. Medium-bodied and pretty smooth going down,with just a small amount of hop/carbonation burn as it finishes (a hardly noticeable amount, at that). 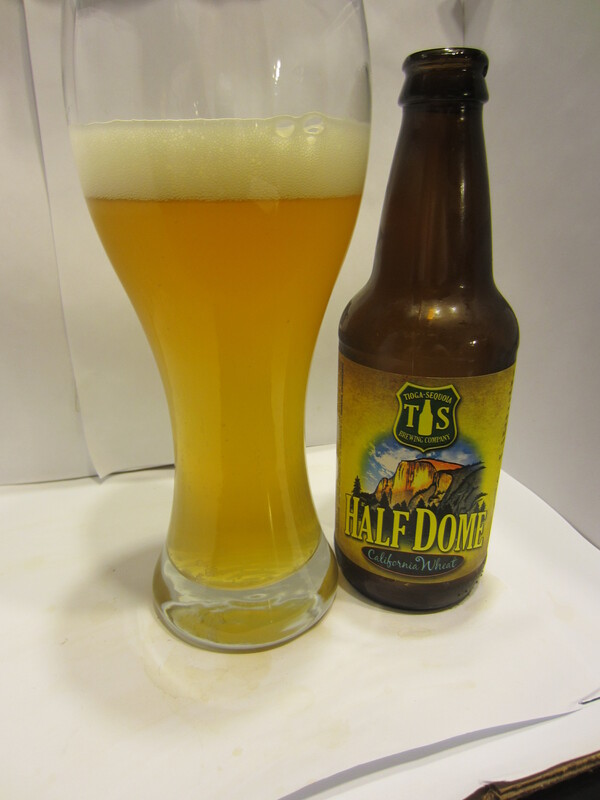 The initial flavor is the earthy lemon zest from the nose. 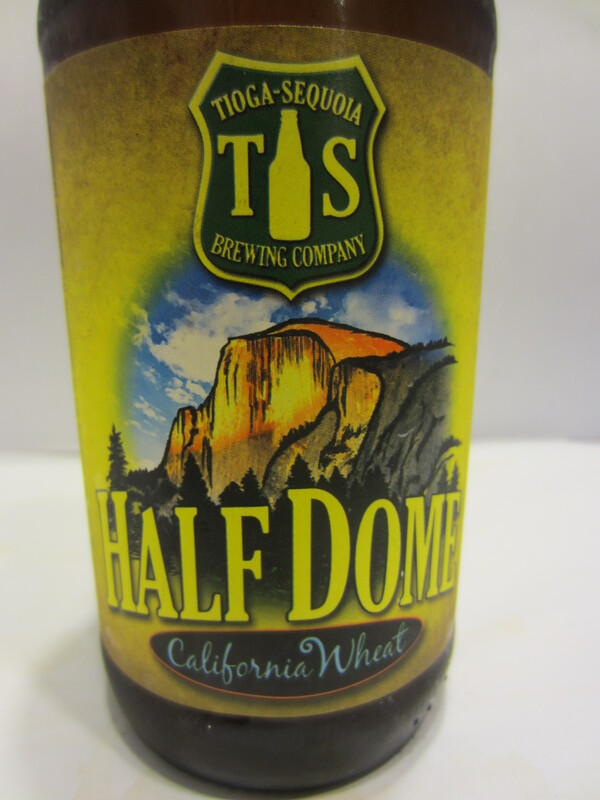 Half Dome finishes very clean, with faint lemon and grain flavors lingering on the palate. 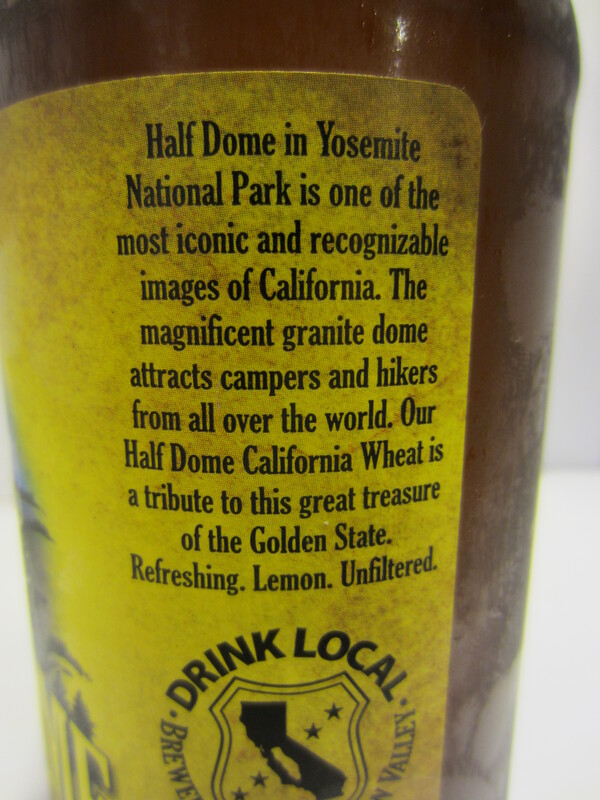 Half Dome is a very refreshing wheat beer. All of the light flavors are soft and enjoyable on the palate. It drinks incredibly easy, and I certainly wouldn’t mind having a few on hand in the beer fridge as the scorching days of a Central Valley summer loom. 8/10. Cheers to that my friend! Thanks for Drinking local & cool blog btw! Cheers!